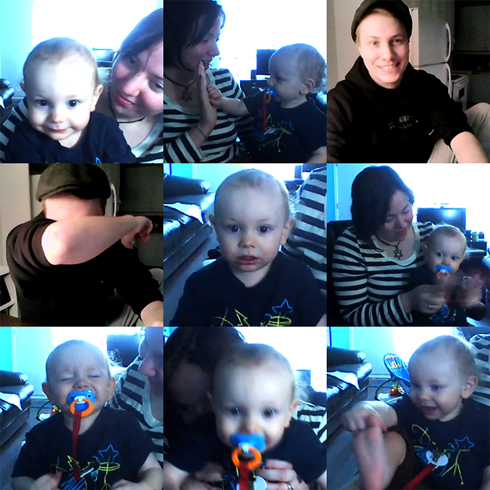 This afternoon I had a great time chatting with Wendy and joking around with Darwin. He's more exciting every time I see him, and in addition to a few rounds of peek-a-boo, he's become pretty good at playing it by himself by covering his own eyes with his arm over and over and over again, haha. He's walking now, and has really started to master Dave's signature head-back-wide-eyed stare. Nothing like a little dose of long distance hanging out to put me in a good mood.